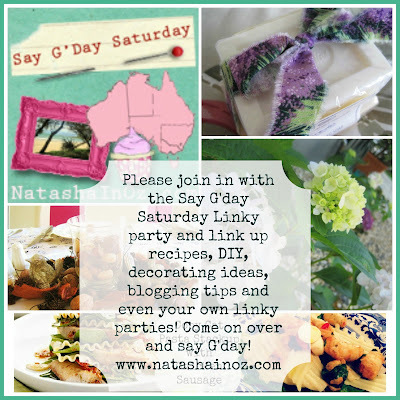 The Real Housewives of Melbourne and Say G'Day Party Reminder. Hello sweet friends! Thanks so much for stopping by to visit me in my little corner of the world Down Under. 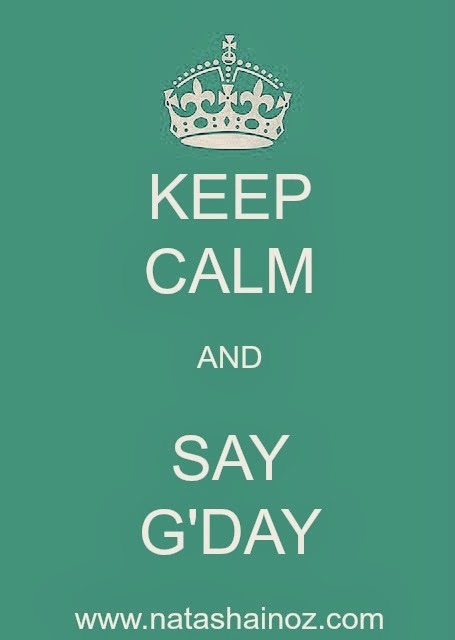 I'm so glad you stopped by to say g'day. Well, I'm not sure if I will regret sharing this rather embarrassing secret but, it's time for me to be honest and confess that I am totally addicted to the Real Housewives shows on cable! 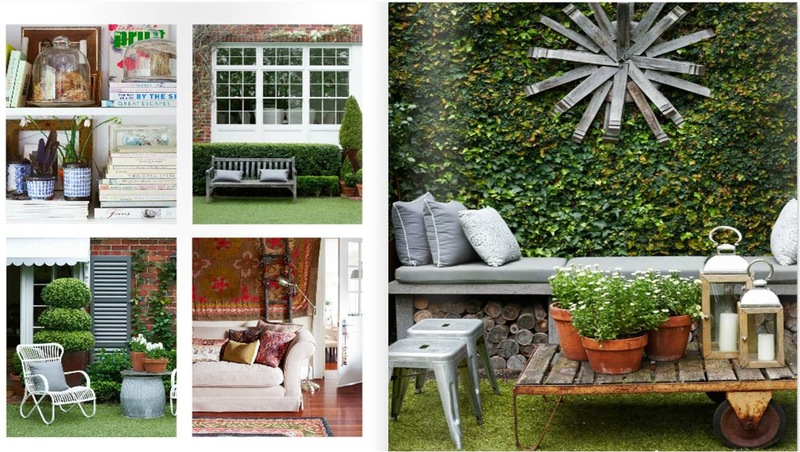 I love hearing the womens' gossip, critiquing their fashion sense and checking out their amazing homes. In particular I love the New York and Beverly Hills Housewives and I also love the OC housewives. Now, however, I have a new crew to watch and I am totally addicted to the Real Housewives of Melbourne! These women have all the same extravagant excesses as their international counterparts and, apart from one who rides her rock-star husband's coattails, they seem to be accomplished and intelligent. In particular I am (and have been for many years) a fan of entrepreneur, savvy business lady, wife and mother Chyka Keebaugh. Now, I'm not sure if this lovely lady is going to get as much airtime as the other women because she is just too darn sensible, well-mannered, intelligent and composed. I guess she wouldn't be as successful as she is today if was an obnoxious idiot! Chyka and her husband Bruce established The Big Group in 1990, one of Australia’s largest privately owned catering companies. They also own The Design Depot, a bespoke event hire and styling company and stylish cafe Capital Kitchen. Here are some images from some of the fabulous events they have organised. Not only does Chyka organise fabulous parties she also has decorated her own family home with the same flair and elegance. Oh how I love this house! So, now you know my secret addiction...please don't hold it against me! Please say g'day and leave a comment if you have a minute and PLEASE let me know if you are secretly addicted to the Real Housewives too!